Close to 66 million informal or family caregivers offer assistance of all sorts to adults in America. Their efforts are vital to the lives of people struggling with illness, disability, or the changes that often accompany aging. 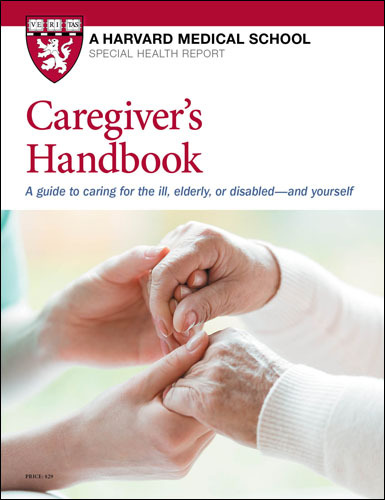 This Special Health Report, Caregiver's Handbook: A guide to caring for the ill, elderly, or disabled—and yourself, will assist you in meeting the needs of the person you care for while attending to your own. It includes financial, legal, and medical information that’s vital to caregivers, as well as a special section devoted to caring for yourself as you navigate caregiving challenges. One day you may find that someone you care about — a spouse, parent, relative, or close friend — needs help negotiating the daily tasks of life. Perhaps that day has already come. Close to 49 million informal or family caregivers offer assistance of all sorts to adults in America, according to the National Alliance for Caregiving and AARP. Their efforts are vital to the lives of people struggling with illness, disability, or the changes that often accompany aging. The information in this report will assist you in meeting the needs of the person you care for while attending to your own. The first chapter focuses on ways to organize and accomplish daily tasks. The chapters that follow describe financial, legal, and medical information that’s vital to caregivers, as well as a special section devoted to caring for yourself as you navigate caregiving challenges. Throughout the report, you’ll also find plenty of resources and tips designed to improve your loved one’s life as well as your own. Consulting a geriatric care manager. If you’re taking on the role of caregiver for the first time, you probably have many questions. What will this role entail? How much time will it take? What will your responsibilities be? Where can you find help? Who will pay for any outside help? How do you even start? This report will deal with all these questions, plus the crucial issue of how to find both physical and emotional support for yourself throughout this process. You may even be wondering who qualifies as a caregiver? A caregiver is someone who handles many or all of the needs for a loved one or friend who is no longer able to care for himself or herself because of illness, age, or disability. Caregivers can provide their services in many venues—at home, at the hospital, or in visits to a long-term nursing care facility. 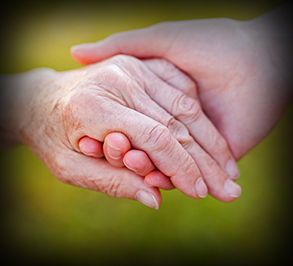 Some caregivers even live great distances from the person to whom they are providing care. The spectrum of tasks caregivers undertake is truly vast. Some responsibilities, such as grocery shopping, housekeeping, doing laundry, and cooking, are familiar to us all. Giving injections, changing bandages, calming an agitated parent with Alzheimer’s disease, or helping a disabled partner get from the bed to the bathroom can be far more daunting. But through countless unheralded contributions like these, caregivers enable their loved ones to continue to live as independently as possible. Caregiving can be wonderfully rewarding, but it can also be a drain physically, emotionally, and financially. You may not have asked for this role. Perhaps you were thrown into it unexpectedly, and now find yourself unsure of what to do and unprepared for the road that lies ahead. This handbook will put you on the right path for developing a plan and coping with everyday tasks. Be aware that those tasks can vary dramatically depending on just how debilitated your loved one is and what kind of living situation he or she is in. It’s impossible to anticipate every hurdle you will face. However, gaining insight into many of them— and finding some creative solutions, as you will in this report—will better enable you to cope with the stresses that come with this role. Hopefully, the resources and insights you discover in the following pages will also help relieve some of the worry or guilt you may feel—and help you take steps to preserve your own health and well-being. After all, the better you care for yourself, the better you can care for your loved one.